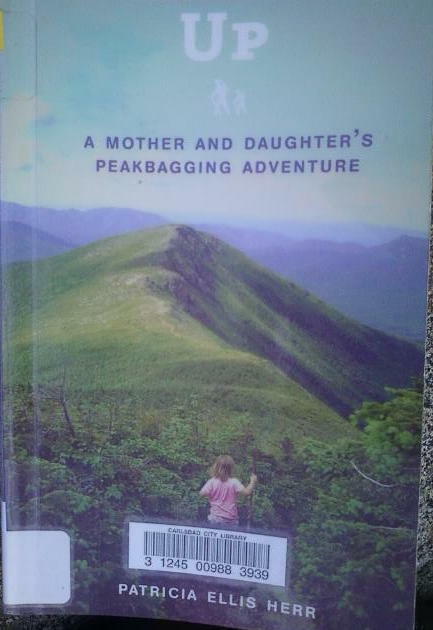 I could barely put down”Up; A Mother and Daughters Peakbagging Adventure” By Patricia Ellis Herr. Fresh mountain air filled my lungs, morning sun warmed my skin, leaves of trees brushed against my skin and gave me shade when it was hot. I could smell the flowers, dirt, sweat, and rain. Birds chirped and lizards scurried away as the thrill of this oh so enjoyable exercise that only hiking out in nature gives me. Vicariously of course. Peakbagging is the term for climbing a group of peaks/mountains. This wonderful story is of a mother and daughter who climbed all 48 of New Hampshire’s highest mountains. The kicker is the young girl was only 5 when they started. Her mother noticed the seemingly endless amount of energy her daughter possessed. So they went hiking, the young girl loved it and they continued. It’s a short book, but interesting enough to hold my attention so that I could barely put it down. I was a bit sad when it ended, not due to some tragic plot twist, but because I was enjoying the hikes with them so much. Since birth, my life has been a back and forth between tiny mountain towns and bustling cities so that I always want both worlds simultaneously. For the past several years I have lived in a large city and often wish to be out in the wilderness more than I find myself there. I give this book 5 stars and recommend it to anyone who loves the stories of other adventure seekers. Find UP online or at your local library. What is a favorite books of yours?